Leather gloves are defence of hands. Aesthetic accessory. Gloves are the most important accessories. They protect our hands from the peculiarities of national climate from September till May. Walking with naked hands is harmful not only for our hands but for the whole organism. Only few people know that super-cooling of the hands leads to the cold as much as wet feet, because hands have a great number of physiologically active points on the palms. With the exception of a warming function the gloves have an aesthetic meaning and beautify your clothes and other accessories. 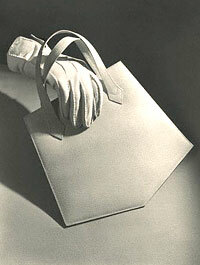 It is well-known that the gloves must correspond in color and style with a bag and be in harmony with shoes. Your clothes, accessories and gloves must be in a harmonic unity. That's why choosing the gloves, pay your attention not only at their color and quality, but think if their style matches your clothes. Gloves are made fabrics and stockinet, but the best material remains natural leather. The majority of models are made from sheepskin and sometimes from more expensive goat or calf leather. 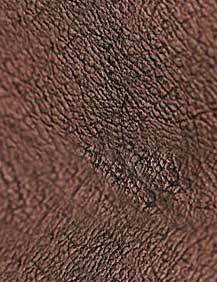 Sheepskin is friable and soft, other kinds of the leather are dense and elastic. But the ideal leather for this kind of accessories is kid-skin. It is beautiful thin leather of a special currying. Models that are made from micro-fibers and woolen are also very popular. The less expensive gloves are stretch gloves from woolen mixture with rabbits down. But their quality leaves much to be desired. You'll receive holes, pellets and bad appearance in a week. So, the first advice is: if you choose gloves, do not economize. If you choose between leather and woolen gloves take leather ones. They are more durable, they look elegant and solid and they are good for all kinds of styles: classical and sports style. Do not buy gloves without trying on even if you know your size. People have different hands but the models are cut out on average standard. Never buy too tight gloves hoping that they will widen and never buy too wide gloves. The second advice is to try on several models of one size, because gloves must fit you perfectly. They mustn't wrinkle or they cannot be good protectors of your hands. Straighten out the cuff's edge of a glove. Put on the glove with accuracy. Unfold the cuff. Smooth out the glove with a palm and a thumb of your second hand with light movements. Don't set right the glove between your fingers. Put off the glove holding all the fingers with the exception of the thumb. A model with open cut-offs of the stitches is made from natural leather. Remember that natural leather is warm and the synthetic is cold. Sometimes one can meet so called «speelock» (The lowest level of thick skin is cut out). Usually its producer is Turkey. Such gloves are cheap and very rough. They fit the hands badly and quickly tear to pieces. They also fake suede by cutting out the top leather level. This «suede» is very shaggy. True suede looks like velvet and its pile is unnoticeable. All the goods from speelock are not durable in the comparison with «true» leather. Especially it corresponds to «suede» that tears in all believable and unbelievable places (stitches, cut-offs, fingers and palms). The quality of sewing is also very important. The third advice is to examine all the stitches and cut-offs of a chosen model (stretch it slightly). Missed stitches are frequent defects and they are «germs» of future holes.